Welcome to the Current Affairs Section of TNPSC Master.COM. This section is a store house of Multiple Choice questions based on DAILY CURRENT AFFAIRS starts from 2019. These questions mainly focused for TNPSC / TRB - TET / UPSC / SSC and other state public service examinations. 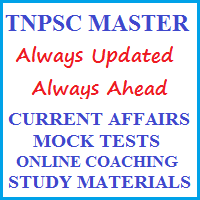 Presently, we (TNSPC MASTER) update 10 important questions published everyday for Current Affairs Sections. Application are invited for the unified single window admission for first year B.E / B.Tech Degree courses to the University Departments / Constituent Colleges of Anna University, Government and Government Aided Engineering Colleges Annamalai University and for the seats surrendered by the Self-Financing Engineering Colleges. Applications for Single Window Counselling for Tamil Nadu Engineering Admissions 2019 will be called for only through Online as per the schedule of events detailed below. TNPSC General Knowledge Model Questions - Dinamani (Dated: 22.04.2019): Dinamani Newspaper Published important question of TNPSC (Tamil Nadu Public Service Commission) Exam. In these model questions prepared by Sankar IAS Academy, Chennai. TNPSC General Knowledge Model Questions - Dinamani (Dated: 21.04.2019): Dinamani Newspaper Published important question of TNPSC (Tamil Nadu Public Service Commission) Exam. In these model questions prepared by Sankar IAS Academy, Chennai. TNPSC General Knowledge Model Questions - Dinamani (Dated: 20.04.2019): Dinamani Newspaper Published important question of TNPSC (Tamil Nadu Public Service Commission) Exam. In these model questions prepared by Sankar IAS Academy, Chennai. Step - 0: No Planning No Gaining . You must be Prepare perfect Time-Table as per your choice. My Suggestion is, during early morning you should study Science Subjects then Mathematics, next go to your interest area . Step - I: First of all you should study Tamil Nadu School Text Books (From 6th Standard to 10 th Standard (Science and Social Science, Tamil) and 11th & 12th Standard Science Text Books). This covers General Studies in well framework. Step - III: Some of the Questions will be asked from Political Science, Economics,Civics also. 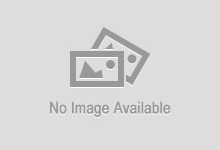 So you must be refer the 11th 12th standard Political Science, Economics,Civics books. Step - IV: Next you should take self test. To test where you are lacking and how to rectify it. Then regularly you should study Daily Newspaper (Thinamani, The Hindu Tamil & English). Today's more than 10 to 15 question asked from Current Affairs. Regular Newspaper study will help to build your current affairs. Step - V: You collect Previous Questions paper and try to answer all questions. You must study and study previous questions. In this way you can easily find out the important area. Step - VI: You must discuss with your friends. You should share your knowledge and get more information with your friends and clarify your doubts. Step - VII: Physical Exercise is very useful for your mind. Be free from stress. You should do 30 minutes Exercise. Pranayama is most powerful remedy for your stressed mind and to improve your memory power. Step - VIII: Never buy many guide books at a time. Refer the one which is easy for you to understand the concept. Step - IX: Don't loose of your confidence. You should mind Vivekananda Words: "Try and try again then you will reach your goal"
Step -X : You belief yourself. You can do.